Surf Lifesaving began in Durban in 1927, shortly after visiting lifesavers from Australia paraded along the beachfront of Durban, demonstrated lifesaving techniques and encouraged the formation in Durban of the first two clubs, the Durban Surf Life Saving Club and the Pirates Lifesaving Club. Warnadoone Club, on the Natal South Coast, was the next of several clubs to be formed during the following years and in 1933 the Lifesaving Clubs formed the Surf Lifesaving Association of South Africa, consisting of four Provincial Associations. In 1980 the South African Surf Lifesaving Union was formed to serve the cause of certain clubs who opposed the apartheid structures of the Government of the day and consisted of three Provincial Associations. 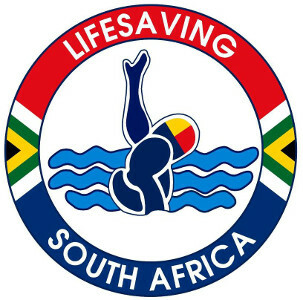 On 15 April 1984 the Surf Lifesaving Association of South Africa and the South African Water Safety Council amalgamated to form South Africa Lifesaving and on 30 August 1991, South Africa Lifesaving and the South African Lifesaving Union were unified. South Africa has a membership in excess of 60,000 being boys and girls, men and women of all races and cultures. It is stressed that its members give of their time and services freely and voluntarily and out of love and a sense of duty to their country, its great aquatic environment and their fellow South Africans. Lifesaving South Africa has played its part as a member of the World Lifesaving bodies and was instrumental in the acceptance of expired air methods of resuscitation in South Africa and the treatment of shark attack victims. Twenty-three of its members have been victims of shark attacks and of nine of them died as a result of their injuries. Lifesaving South Africa has since 1933 effected over 92,340 rescues throughout South Africa. Lifesaving South Africa certifies lifesaving competence in and issues some 2,000 certificates to successful candidates over each year and has reached over 400 communities through our water safety education programmes. Lifesaving South Africa is a unified multi-racial association and recognised as the national authority on lifesaving techniques and the teaching of water safety education in South Africa. Lifesaving South Africa, however, is dependant on Government, Provincial, Local Authority, business and private grants and donations to fulfil its service and functions as set out in its Mission Statement. Lifesaving South Africa is a registered member of the supreme sports body in the country, the South African Sports Confederation and Olympic Committee (SASCOC) as well as the national Department of Sports and Recreation (SRSA). We are also a founding and full member of the International Lifesaving Federation (ILS), Commonwealth Lifesaving and the Royal Lifesaving Society. The core business of LSA is to provide voluntary lifeguard services that benefit our communities and country at large. Lifesaving South Africa has made a phenomenal contribution by ensuring that our popular bathing coastlines are drown-free zones. The indirect impact is that beaches remain safety havens for tourists and approximately 90% of our lifeguards secure employment in municipalities, resorts and tourism and hospitality industries. The vision of LSA is to be recognised as the South African leading water safety organisation, which is accessible to all communities, and to be at the forefront in the development of aquatic skill, measured by competition, dynamic leadership and marketability. Drowning is a constant threat to the general public and tourists. A comprehensive strategy in the form of education, lobbying and more life guard services is required to stem the crisis of drowning. Even though Lifesaving South Africa and its provincial structures have conducted numerous water safety programmes, a more coordinated approach is required. Lifesaving South Africa is keen to form a partnership with various government departments, and related agencies and stakeholders with the aim at developing a coordinated approach, supported by an enabling policy environment to promote water safety. Through greater inter-sectoral collaboration Lifesaving South Africa would be able to increase the number of lifeguards on the beaches and other aquatic recreational sites, develop a coordinated response to drowning and generate greater public awareness around this issue. We plan to transfer our skills and expertise in lifesaving to other developing countries as well. As the leading lifesaving sports association in Africa, we are proud to be positioned as one of the top competitors in the world. Our aim is to encourage participation in lifesaving sports competitions with our neighbouring countries thereby growing the sport as well as the capacity to prevent drownings in our respective countries.